My high school was a huge, open-space sprawling complex that warehoused over 1500 teenagers. The lockers really were big enough to stuff a kid into, the football stadium was named in honor of our janitor, and no one smoked in the bathrooms because we had an actual, school-sanctioned smoking area (the eighties were strange). There were lots of groups in my high school- jocks, geeks, theater kids, punks, metal heads, skaters, cheerleaders– and somehow I was friends with all of them. I didn’t fit in, so to survive high school I adapted– I fit in EVERYWHERE. It wasn’t because I was cool, coordinated, funny or artsy (trust me, I wasn’t). It had nothing to do with the clothes I wore, the bands I liked, or the fact that I attended summer school to TRY to pass algebra for the third time. Nope, I got to know people who didn’t look or think or act like me because I was simply willing to meet them. Talk with them. Listen. Look for things we had in common. Not feel threatened by our differences. Being willing to meet people who didn’t look or think or act like me got me through high school. And college. Living in a foreign country. Working in a factory. Teaching middle school. Moving to a new state. Carpooling teenagers. Being part of a church. And it’s what is getting me through this “BREAKING NEWS” summer of terror and fear and hate and anger. 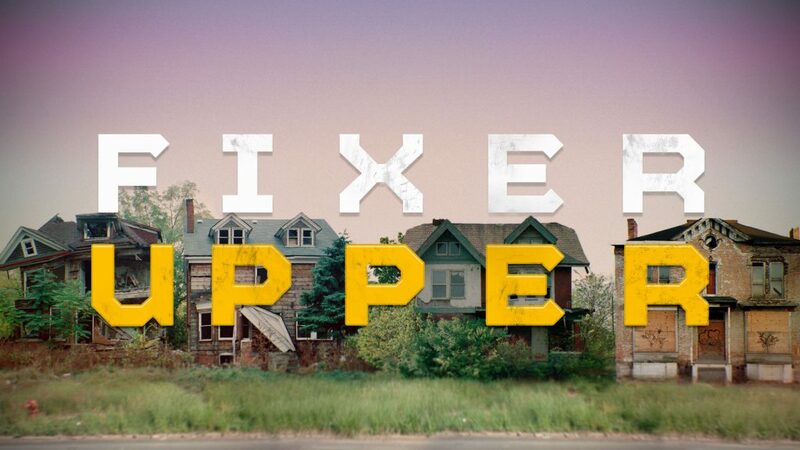 “Who is my neighbor?” Like the expert questioning Jesus, we are still trying to come to terms with what Jesus means when he commands us to love our neighbor, with exactly WHO he means for us to love. Because let’s be honest, it’s easy to love people who like what you like, do what you do, live where you live. But what if EVERYONE is our neighbor? Not just the people who are like us, who agree with us, who believe what we believe? Because according to Jesus, everyone is our neighbor. There are no outsiders or insiders, no us or them, no black or white, no red or blue. We are sent to “love people”, not “love just some people”. If you missed the announcement Sunday, actionchurch has been give the opportunity to participate in North York Borough’s “National Night Out” event. This night is a long running event designed with a mission: to “connect police officers and community members by going outside as a way to improve relations”. I invite you to join actionchurch from 6pm- 8pm on August 2nd at the North York Park (305 east 5th Avenue). Come a little early to help set-up. Hang out at the bounce houses. Serve some shaved ice. Temporarily tattoo some kids. Meet the hundreds of people who live within walking distance of actionchurch, the firefighters and police officers who serve and protect. In the middle of this long, hot, “BREAKING NEWS” summer, come out and love our neighbors. Since beginning the “MESSY” series three weeks ago, we’ve discussed some of the messy consequences of the already messy process of new birth. We’ve talked about messy diapers, smash cakes, the destructive force of nature know as the “toddler”, but this week we will tackle the messiest thing of all-Growing up! Yes, there is something messier than newborns AND toddlers, and if you’ve ever witnessed the class five hurricane known as the “teenager bedroom” you KNOW what it is!!! Growing up is messy, but somehow, babies with dirty diapers, terrifying toddlers, and super-messy teens can turn into loving parents who deal with their own messes AND care for their newborns, toddlers, and yes…even occasionally find themselves yelling “clean your room” up the stairs to their teenager. This week we’ll talk about all the messy but great things about becoming a “grown up” follower of Jesus…and why you WANT to become one! This week also features some new tunes from our friends in ADO, and all of the “normal” food and fun that makes actionchurch ANYTHING but a normal Sunday morning at church! We’ve even freed up more parking…so go a head and invite ALL your friends and family that have been curious about actionchurch. We look forward to seeing you at– 10:30 am, 36 W 11th Avenue. (DIRECTIONS), and as usual, the actionkidz crew has a fantastic hour of learning and fun planned for your kids (infant to 6th grade) as well. The dashboard is the information center of you vehicle. It displays how fast you are going, how far you have traveled, the condition of you engine, how much gas you have left in the tank, the annoying fact that you’ve left your turn signal on, etc. Wise drivers…drivers who want their vehicle to CONTINUE operating…pay attention to the gauges and warning lights on their dashboard. 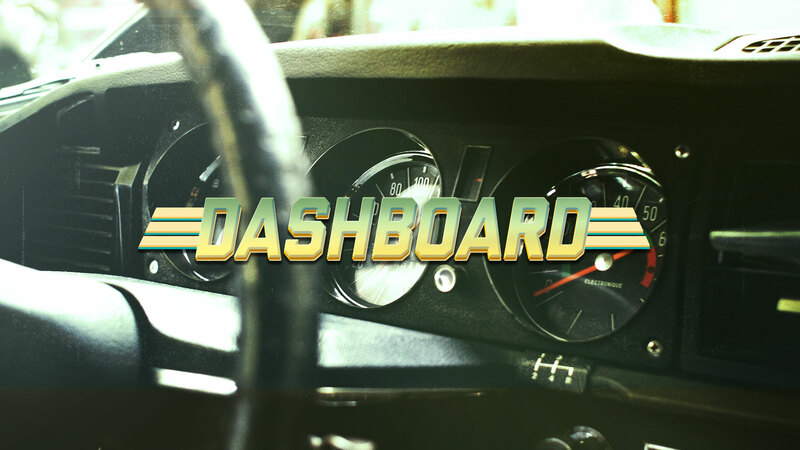 This week in the “Dashboard” sermon series, Bill will share about the dreaded “check engine light”, and give us some wisdom about what to do both when it shows up on the dashboard of our vehicle…and our lives. This week also features music from the Jesse Baker Band, along with all the “normal” food and fun that makes actionchurch ANYTHING but a normal Sunday morning at church! We’ve even freed up more parking…so go a head and invite ALL your friends and family that have been curious about actionchurch. We look forward to seeing you at…well…at the actionchurch building (that sounds really weird somehow) :-) – 10:30 am (DIRECTIONS), and as usual, the actionkidz crew has a fantastic hour of learning and fun planned for your kids (infant to 6th grade) as well. Want to Serve North York on July 4th? We’ve been given a GREAT opportunity to get to know our new neighbors in North York Borough on July 4th and you can be part of it. 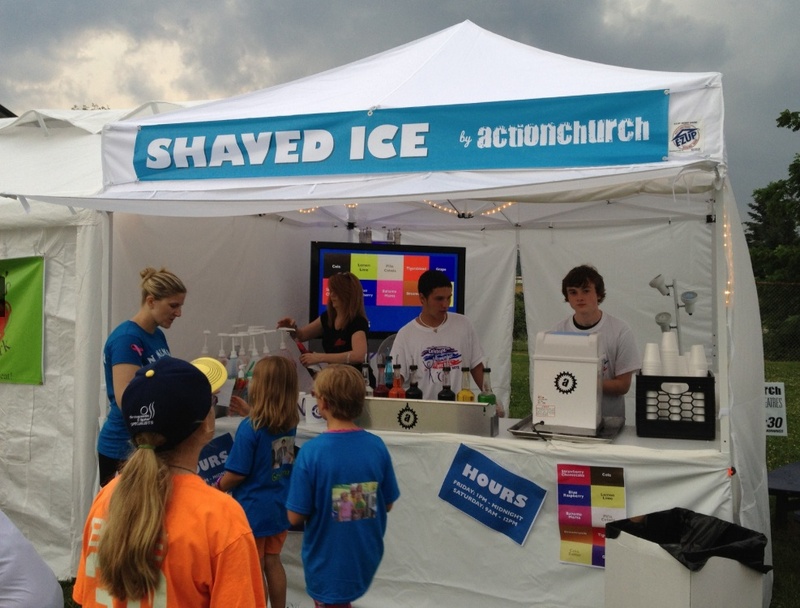 We’re looking for a few more actionchurch folks who would like to spend their Saturday evening (4pm-9:30) at the North York Park (directions) serving free shaved ice and making sure all the little ones in the neighborhood get their turn in the actionchurch bounce houses. If you’d like to join us as we serve our neighbors, please respond to info@actionchurch.com.